Everybody knows that sparks fly on the Streif. 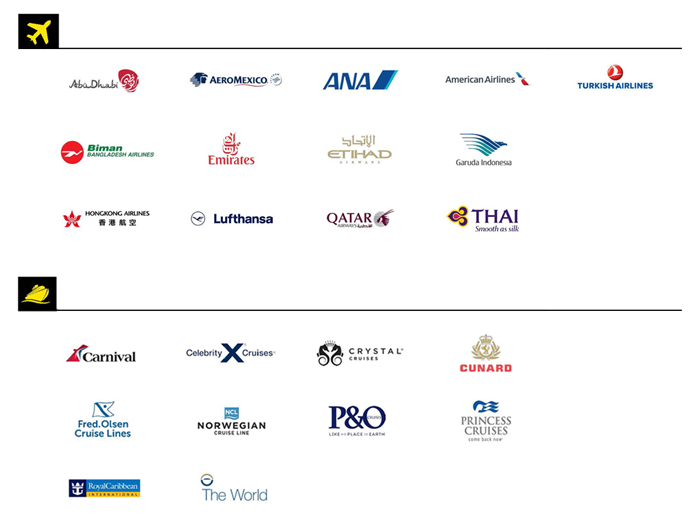 Our partner, Sport24, therefore broadcasts the races on thirteen airlines and ten cruise lines. This means that fans can share in the excitement of the races for the first time in both the air, as well as on the water. International airlines including Birman, Aero Mexico, Ana, Garuda Indonesia, Thai and Hongkong Airlines will be screening the races in 709 registered planes. 50 ships belonging to Carnival, Celebrity Cruises, Crystal Cruises, Cunard, Fred Olsen Cruise Lines, Norwegian Cruise Line, P&O Cruises, Princess Cruises, Royal Caribbean International and The World will also be screening all the action from the Streif.